OVER 100 MORE people have signed a letter that expresses “deep concern and dissatisfaction” with the Abbey Theatre’s direction. The letter was sent to the Minister for Culture Josepha Madigan on 7 January, and specifically refers to the direction taken by the national theatre since the appointment of its Directors Neil Murray and Graham McLaren. Both took over from the previous Director, Fiach MacConghail. Under their remit, the theatre has had a particular focus on diversity, and also on offering events such as free preview shows to make the theatre more accessible. However, the signatories say that as a result the freelance theatre community has been “cast adrift”. The signatories will also speak along with the Abbey Theatre and the Arts Council before the Oireachtas Committee for Culture, Heritage and The Gaeltacht tomorrow at 2.30pm. In addition, a meeting has also been confirmed between the signatories and The Abbey Theatre on Friday 1 February. There are now 407 people who have signed the letter, which those who organised it said is still rising. The signatories, who include actors, directors, writers, designers, technicians, producers and agents/casting directors/educators, have met over the last two weeks and all have nominated people to represent their group on a panel. This panel of 16, which also includes an Equity representative, will meet with the Board and directors of The Abbey Theatre. It is understood they have drawn up an agenda and await the Abbey Theatre’s agreement of it prior to the meeting. The grace period since their arrival is well and truly over and the situation in which the Irish theatre community finds itself is now critical. While the institution may be financially buoyant – and due congratulations for this – the freelance theatre community, in particular, has been cast adrift. The letter claims that the theatre is now producing fewer in-house productions, which is causing “devastation among our ranks”. There will not have been an Ireland-based actor in an Abbey Theatre production on an Abbey stage since Jimmy’s Hall ended on 8 September 2018 until The Country Girls opens on 23 February 2019. That is five and a half months without an Ireland-based actor directly employed by the Abbey. 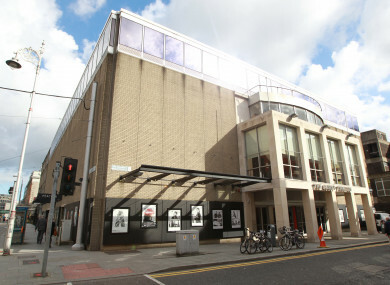 In response to the letter, the Abbey Theatre said it had “huge respect” for the artists who signed the letter and that it would take their concerns “very seriously”. “Over the past two years, the Abbey has opened its doors to many companies and artists who had not previously gained access to their national theatre and we have led on gender equality in the theatre sector,” the statement added. It emerged after the dispute went public that the Arts Council had already frozen €300k in funding for the Abbey. The council said that it has sought assurances from the national theatre “as to the quality of employment opportunities it provides for Irish based artists”. Email “Abbey and theatre makers to meet as 100 more sign letter of 'concern and dissatisfaction' ”. Feedback on “Abbey and theatre makers to meet as 100 more sign letter of 'concern and dissatisfaction' ”.